I read many online news sources, but one website keeps my pilot light flickering more than any other – the Wall Street Journal (WSJ). 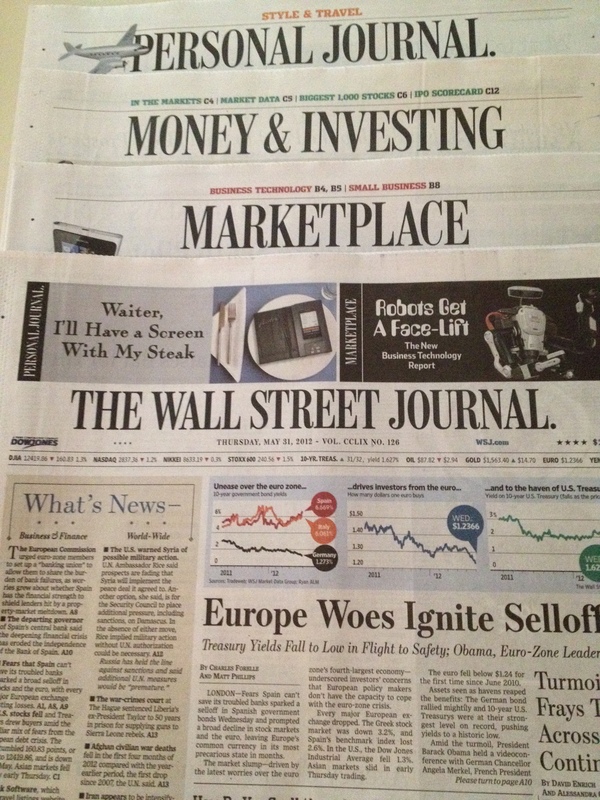 If you aren’t fortunate enough to have access to the print version, the online WSJ offers a read-worthy variety of free content. For those of you who prefer the New York Times (NYT), let me say this: Because the NYT is doing their best to monetize their website, they recently downsized your free access from 20 to 10 monthly articles. I don’t begrudge the NYT for wanting to profit from their original content. 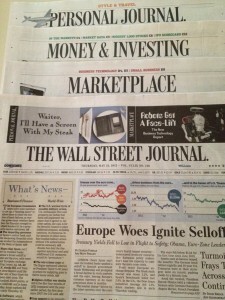 However, if you’re not in the market for an online news subscription, the WSJ is a better bookmark. Without the WSJ online subscription, you won’t be able to access all features and articles, but there are many free amenities to read and enjoy. Go ahead, bookmark it now and take advantage of this great news site. Whenever you see the grey key icon next to a headline, indicating paid subscriber content, either click out of curiosity, or just move along. Sample the 51 Blog Flavors (Yes, I Counted): The WSJ has as many blogs as I have pens in the middle drawer of my old-school desk. You can freely access all of them, except for the Real Time Economics blog (and really, there’s no need to depress yourself economically in real time). A few of the more business-oriented blogs include At Work (read it for the office life pieces), Digits (all things technology), and my favorite (wink wink), Corruption Currents. The Speakeasy blog is a fun read when you want to catch up on the latest in media/entertainment news. There’s No Business Like Small Business: The WSJ’s Small Business tab is eminently clickable and offers mostly free content. If you run a small/micro business or are looking to start your own company, these articles offer thought-provoking ideas and insights. Don’t forget to sample the daily Must Read feature, a snapshot of what’s happening in the business world compiled from other news sources (really!). Everyone’s a Comedian on the A-Hed Page: I saved the best for last. Apparently, the WSJ’s reporters and staff writers are allowed to display their eclectic view of our sometimes absurd world through articles that entertain and amuse. The full back story on how the A-Hed came to be is brief and well-written, so give it a read before you go on to peruse some current A-Hed articles. You’ll be glad you did!